Rotary is a worldwide volunteer organization of more than 1.2 million people. Members of Rotary clubs, known as Rotarians, provide humanitarian service, encourage high ethical standards in all vocations, and help build goodwill and peace in the world. There are over 33,000 Rotary clubs in more than 200 countries and geographical areas. Clubs are nonpolitical, nonreligious, and open to all cultures, races, and creeds. ​As signified by the motto "Service Above Self", Rotary’s main objective is service — in the community, in the workplace, and throughout the world. The organisation initiates humanitarian programs that address today's challenging issues such as disease, hunger, poverty, illiteracy and peace. Our mission is to provide service to others, promote integrity, and advance world understanding, goodwill, and peace through our fellowship of business, professional, and community leaders. The main objective of Rotary is service in the community, in the workplace and throughout the world. Rotary International has developed a broad range of programs designed to assist clubs to carry out this mission. Some of these programs have been in operation for many years, while others have been developed more recently to meet emerging needs. Rotary’s Community Development Programs address many of today’s most critical issues, such as hunger, the environment and literacy. 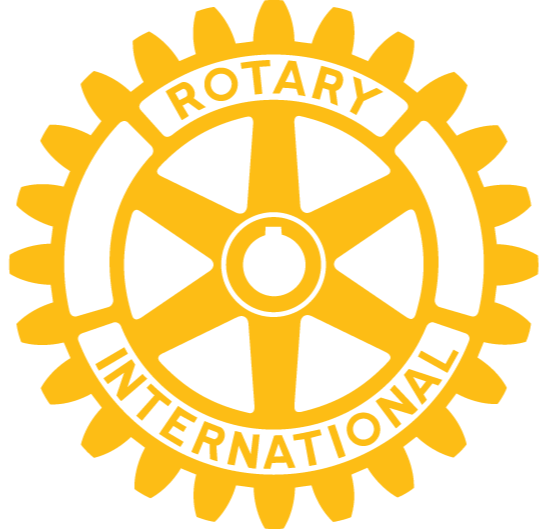 Rotary International also offers programs that focus primarily on young people, including service clubs for young adults (Rotaract), leadership training workshops (Rotary Youth Leadership Award and Rotary Youth Program of Enrichment), and the very successful overseas student exchanges for twelve months (Youth Exchange). The International component of Rotary programs enables clubs to assist Rotary’s efforts abroad and to share information and arrange exchanges with Rotarians in other countries. Vocational concerns figure in many club projects, designed to promote high ethical standards in the workplace and to help young people and others become and remain productive members of society. Advance the internal and external recognition and public image of Rotary. Increase Rotary’s capacity to provide service to others. Expand membership globally in both numbers and quality. Emphasize Rotary’s unique vocational service commitment. Optimize the use and development of leadership talents within RI. Fully implement the strategic planning process to ensure continuity and consistency throughout the organization. Rotarians in Western Australia have celebrated the centenary of the world’s first and greatest service organisation by unveiling a unique gift to the current and future generations of the state. Throughout its history, Rotary International has collaborated with the United Nations, governments and nongovernmental organizations to improve the human condition. The greatest example of Rotary’s effective collaborations is its flagship program, PolioPlus, which aims to eradicate polio worldwide. Working with spearheading partners UNICEF, the U.S. Centers for Disease Control and Prevention, and the World Health Organization, Rotary has contributed over US$600 million and countless volunteer hours to help immunize more than two billion children against the crippling and often fatal disease. Cooperative efforts are also a key element of Rotary’s local service. Rotary clubs in Toronto, for example, have worked with Habitat for Humanity to build houses for deserving families in the community. Similar collaborations have helped Rotary’s 1.2 million club members promote goodwill, service, world understanding, and peace in more than 200 countries and geographical areas. Rotary and the United Nations have a long history of working together and sharing similar visions for a more peaceful world. In 1942, Rotary clubs from 21 nations organized a conference in London to develop a vision for advancing education, science, and culture after World War II. That event was a precursor to UNESCO. In 1945, 49 Rotarians went to San Francisco to help draft the UN Charter. Rotary and the UN have been close partners ever since, a relationship that’s apparent through PolioPlus and work with UN agencies. Rotary currently holds the highest consultative status offered to a nongovernmental organization by the UN’s Economic and Social Council, which oversees many specialized UN agencies. Rotary maintains and furthers its relationship with a number of UN bodies, programs, commissions, and agencies through its representative network . This network consists of RI representatives to the United Nations and other organizations. Learn more about Rotary’s local and international work through Rotary's Global Outlook.